My brother got me an Alexa Dot for Christmas a few years ago. It turns out to be a lot of fun. We put it in the kitchen and the kids play music. My wife and I also use it to add things to our shopping list (very convenient!) Anyway, I like to explore Thingaverse.com by tying in the names of gadgets I have to see what kinds of modifications you can find. 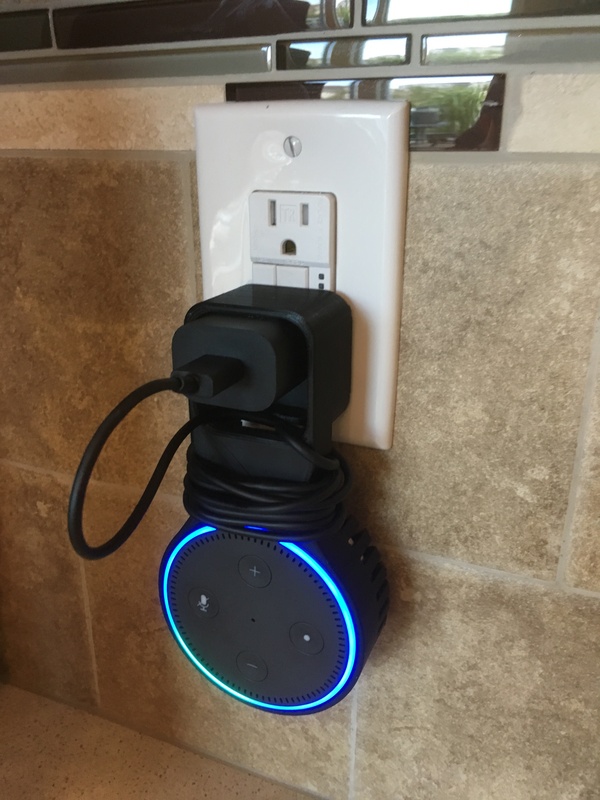 When I typed in Alexa dot I came across this really cool plug holder which would get it off my kitchen counter. The design is by Cpt Skippy and I am really pleased with how it turned out. I may post a new picture when I get a smaller USB cable that doesn't need to wrap around so much.